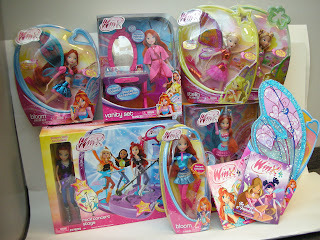 We recently attended the Winx Club Launch at Toys R Us, we have a fantastic video to share with you from the event, and a great giveaway! Enter below for your chance to win a $250 Winx Club Prize Pack - it includes the entire line up of Winx Dolls in their deluxe version!!! Good Luck Canada! !